Availability: We Ship within 2 Business days. 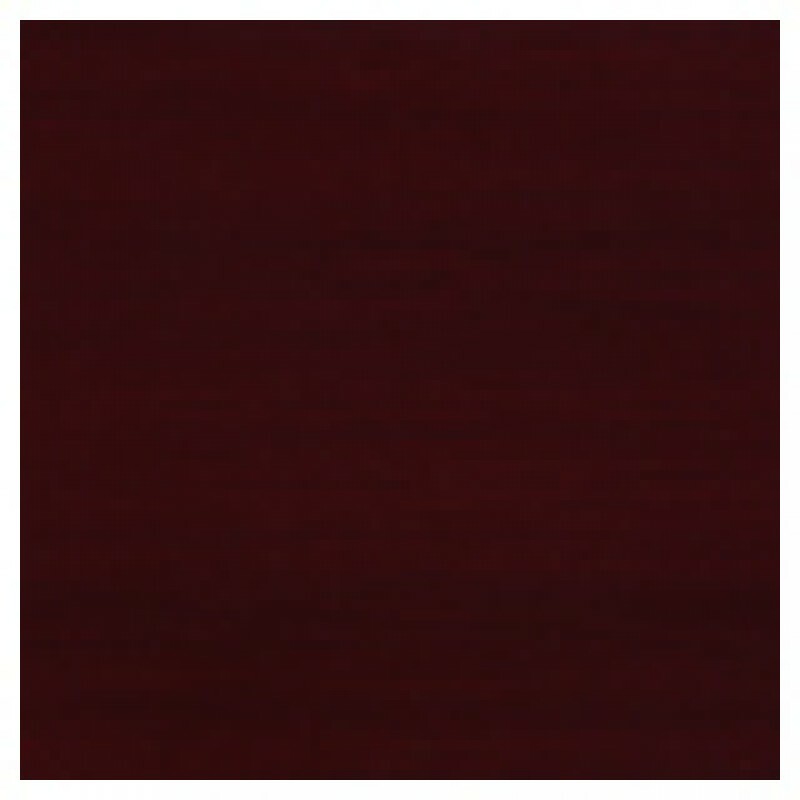 Available in 2 Finishes: Chestnut Cherry Or Henna Mahogany. Available In Stock in Chestnut Cherry Or Henna Mahogany. The ONE series chair is protected by an all inclusive LIFETIME Warranty. All other series are covered by a Ten Year Warranty. @TheOffice chairs are warranted against manufacturing defects in material and workmanship for 10 years from teh original date of purchase with the exceptions of upholstery materials. Upholstery materials and foam for all chairs are warranted against unusual wear or deterioration for twenty-four months.The One Series is warranted for LIFE with the exception of upholstery as stated. The warranty obligation is limted to the replacement or repair, at theOffice's option, of defective parts and components. The warranty of this product is null and void if the product is subject to abuse, misuse, modification or accident. The warranty is only applied to the original purchaser of the product and will not be honored if the product is resold. All warranties are for normal usage defined as a forty-hour workweek by persons weighing two hundred fifty pounds or less. Should any component be found to be defective under normal single shift usage (eight hours a day by users not in excess of 250 pounds), unless otherwise specified that component will be replaced free of charge. In order to get the replacement part, please return the product or part to the dealer from whom it was purchased. The dealer will send the defective part to @theOffice, freight prepaid. at theOffice will repair or replace the defective parts and return it to the dealer, freight prepaid. Customers will be responsible for maintenance of this product including assembly, cleaning, and making sure all hardware is securely fastened. Except as otherwise provided within this Limited Warranty, United Stationers Supply Co. promises to repair or replace any Alera and other USSCo branded furniture products, component or part that is found by USSCo to be defective in material or workmanship withing 5 years from the date of original purchase so long as you, the original purchaser, still owns it. This is your sole and exclusive remedy. This warranty is subject to the provisions below. It applies to product manufactured after May 29, 2005, for products sold within the United States of America and the Commonwealth of Canada. Damage caused by the carrier in-transit is handled under separate terms as defined by the carrier. Fabric, vinyl and/or leather is warranted for 2 years from the date of original purchase of the chair by the original owner of Alera product in question. Normal wear and tear, which are to be expected over the course of ownership.Modifications or attachments to the product that are n ot approved by USSCo.Products that were not installed, used or routinely and properly maintained in accordance with product instructions and warnings.Products used for rental purposes. Color variations in fabrics and finishes: USSCo does not warrant the color-fastness or matching of colors, grains or textures of covering materials. TO THE EXTENT ALLOWED BY LAW, USSCo MAKES NO OTHER WARRANTY, EITHER EXPRESS OR IMPLIED, INCLUDING ANY WARRANTY OF MERCHANT ABILITY OR FITNESS FOR A PARTICULAR PURPOSE. USSCo WILL NOT BE LIABLE FOR ANY CONSEQUENTIAL OR INCIDENTAL DAMAGES. Notice to Purchasers for home or personal use: Federal law does not permit the exclusion of certain implied warranties for consumer products. Therefore, if you are purchasing this product for home or personal use, the exclusion of implied warranties noted in the above paragraph does not apply to you. Some states do not allow the exclusion or limitation of incidental or consequential damages, so the above limitation or exclusion may not apply to you. This warranty gices you specific legal rights, and you may also have other rights which vary from state to state. 1. If a defect is discovered, please contact the Reseller from whom the product was purchased within 30 days from the date of discovery. The Reseller will require information about the product such as: the SKU number, serial number and/or registration number or date of manufacture from the product in question and/or any original transaction documents affirming that you are the original purchaser of this product. 2. Following your claim, your Reseller will conduct an inspection and review. During this time your Reseller or their appointed servicing agent will gather all pertinent information regarding the claim, inspect the product and contact a USSCo customer service representative. Please allow a resonable amount of time for these activities. 3. A customer service representative or another representative of USSCo will determine whether to provide replacement parts, authorize repairs or replace the product providing USSCo affirms that the product in question is eligible under the conditions of the warranty as stated above. NORSTAR Office Products wants you to be happy with our products. When used and maintained properly, they will provide you with years of satisfaction. NORSTAR chairs are warranted against manufacturing defects in material and workmanship for six years from the ORIGINIAL DATE OF RETAIL PURCHASE with the following exceptions: Upholstery materials, foam, gas cylinders, wood components, control mechanisms and electronic components. Upholstery materials and foam are warranted against unusual wear or deterioration and gas cylinders, wood components, and controls against structural failure or unusual wear for EIGHTEEN months. All electronic components for the massaging units have a 90-day warranty period. The warranty obligation is limited to the replacement or repair, at NORSTAR OFFICE PRODUCTS’ option, of defective parts and components. The warranty of this product is null and void if the product is subject to negligence, abuse, misuse, modification, accident, or if the customer does not perform the necessary maintenance outlined below. The warranty is only applied to the original purchaser of the product and will not be honored if the product is resold. All warranties are for normal usage defined as a forty-hour workweek by persons weighing two hundred fifty pounds or less. Exceptions are the model B205 that is limited to one hundred fifty pounds. The B990, which is limited to three hundred fifty pounds and the B670 and B709 which are limited to three hundred pounds. Should any component be found to be defective under normal single shift usage (eight hours a day), that component will be replaced free of charge. In order to get the replacement part, please return the product or part to the dealer from whom it was purchased. The dealer will send the defective part to the manufacturer, freight prepaid. The manufacturer will repair or replace the defective parts and return it to the dealer, freight prepaid. Customers must be responsible for the maintenance of this product including assembly, cleaning, and making sure all hardware is securely fastened. This warranty applies only to the product; the manufacturer is not responsible in any way for loss, inconvenience or any other special or consequential damages caused by any product defect. This warranty is the only warranty applicable on all Norstar products. All other warranties, expressed or implied prior, are disclaimed. Cherry Man warrants to the original purchaser, that products of Cherry Man will be free from defects in material and workmanship, given normal use and care for ten years of single shift service with the exception of upholsteries, which will carry a two years warranty. 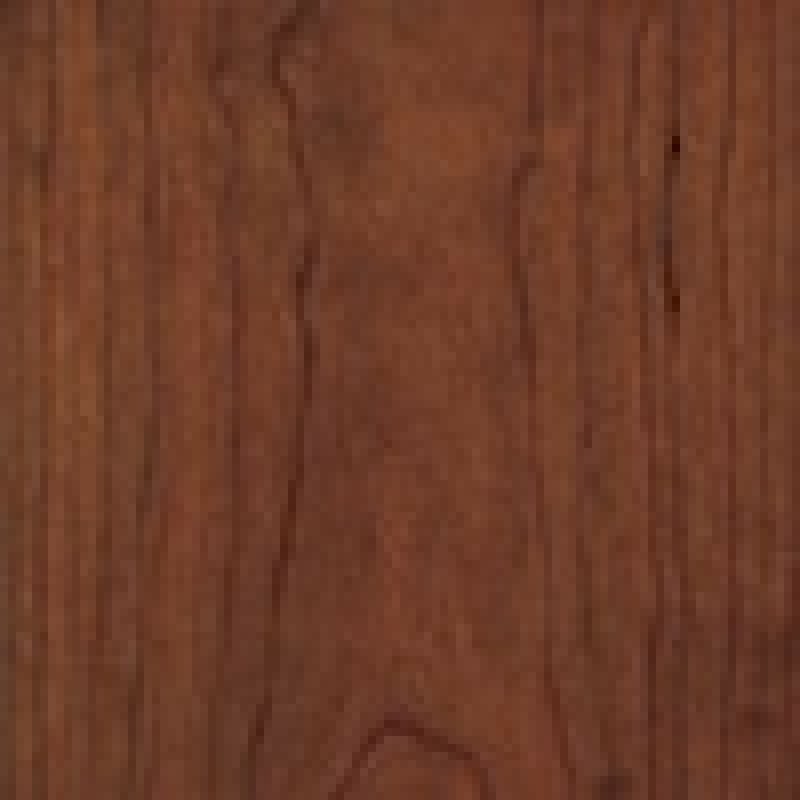 Cherry Man will replace, correct or repair at our option any Cherry Man product which upon our inspection is declared defective in material or workmanship. This warranty does not cover: Damage caused by transportation company. The cost of transportation or labor except as noted. Color, grain or texture of wood and other covering materials due to natural variations over which Cherry Man has no control. Cherry Man assumes no responsibility for improper assembly, modifications, attachments to a product, misuse, abuse, alteration and negligent use by the purchaser. Cherry Man shall not be liable for consequential or incidental damages arising from any product defect. ERGO Office Seating warrants that this product will be free from defects in its material and workmanship, as described below, for as long as the original purchaser owns the product. The company will repair or replace, at its option, without charge to the original purchaser only, defective products or parts from normal use. Lifetime Warranty which is the entire time owned by the original purchaser for all chair components including pneumatic cylinder, control mechanism, base, glides, casters, frames and other structural elements. Fabric Upholstery and Leather is warranted to the original purchaser for three years from date of purchase. This warranty shall be effective for the applicable time period starting from date of purchase as shown on your original receipt or other proof of purchase. This warranty is your sole remedy for product defects and excludes defects due to or arising in connection with product abuse or misuse, user modification of, or attachments to the product, including application of your own upholstery materials and products or parts not used, maintained or installed in accordance with the company’s installation, maintenance and/or applicable guidelines. Normal use consists of a standard 8 hour shift in a 5 day work week, and a 250 lbs weight capacity. We will repair or, at our option, replace the defective part, free of charge to the purchaser, provided that the purchaser returns said parts freight prepaid to our offices. Labor and service are not covered under this warranty. There are no other warranties, expressed or implied, other than those specifically described, including without limitation any implied warranty or merchantability or of fitness for a particular purpose. We will not be responsible for incidental or consequential damages. Some states do not allow the exclusion or limitation of incidental or consequential damages, so the above limitations or exclusions may not apply to you. This warranty gives you specific legal rights and you may have other rights which vary from state to state. Textiles are sold subject to minor variations of color. Since textiles vary in weave, thickness and memory, some creasing and/or gathering may occur during the upholstery application process. All furniture is sold subject to minor irregularities of color, surface, grain, and texture. Our leather upholstery materials are of the finest quality. Because leather is a natural product, variations of texture are common and should be expected. Leather will contain natural markings such as neck wrinkles, scratches, backbone marks and stretch marks. These distinctions give leather its unique characteristics and are considered to be a part of the natural beauty of leather. Eurotech assures you of total customer satisfaction: Eurotech warrants to the original purchaser all components for the life of the product with the exception of upholstery and foam, which will be warranted for five years. Eurotech warrants to the original purchaser that all parts will be free from material defects. Eurotech will repair or replace, at its option, any unaltered components. Customer's own material is NOT warranted. Warranty is limited to a forty hour work week, 250lb. weight limit. The warranty is limited to replacement of repair and does not cover cost of transportation and labor. There are no other warranties expressed or implied other than those specifically described. Eurotech shall NOT be liable for consequential or incidental damage arising from any product defect. Fabrix by Eurotech's Lifetime Warranty warrants to the original purchaser all components for the life of the product with the exception of upholstery and foam, which will be warranted for five years. Please call or contact our Customer Service for details or a copy of the warranty. will honor any quantity providing we have sufficient inventory. Global warrants that all commercial products are free from defects in material and workmanship, for the life of the product, to the original purchaser. Global will repair or replace, at Global's option, as the sole remedy for any defect covered byt he warranty. The warranty applies to products manufactured after January 1, 2011. Global warrants all components of metal storage and filing, laminate and wood veneer desks, laminate and wood veneer tables, metal leg components and panels for the lifetime of the product to the original purchaser. Global's warrante does not cover the costs of transportation or labor. Repair or replacement will be at Global's option. Global makes no warranty that any of its products are suitable for any particular purpose and makes no other warranties, express or implied, other than those set out here. As codes and standards vary from one jurisdiction to another, references to compliance are solely for convenience and without any representation as to accuracy or suitability. Users must verify the suitability of such information or product for their specific application. In no event shall Global be liable in either tort or contract for any loss or direct, special, incidental, consequential, or exemplary damages. Global's warranty applies to products sold within the United States of America, Mexico, the Commonwealth of Puerto Rico and Canada. WHAT'S COVERED BY THE HON FULL LIFETIME WARRANTY? Your HON Full Lifetime Warranty applies to product manufactured after January 1, 2011. All HON product lines, materials, and components are covered by your HON Full Lifetime Warranty except for the items described below. The specific product lines, materials, and components listed below are covered under HON's Full 12-Year and Full 5-Year Warranties (from date of purchase). These warranties apply to HON products sold within the United States of America, U.S. Territories, and Canada, as well as U.S. Military and Federal Agency purchases (regardless of location). All basyx® by HON products (these products are covered under a separate basyx® by HON warranty). Color-fastness or matching of colors, woodgrains, or textures occurring in wood, leather, or other materials that naturally exhibit inherent color variations. Customer's own materials (COM) selected by and used at the request of a user. Modifications or attachments to the product that are not approved by The HON Company and product failures resulting from such modifications or attachments. Product normal wear and tear, which is to be expected over the course of ownership. Products that were not installed, used, or maintained in accordance with product instructions and warnings. Products used for rental purposes. Kwik-File) brand product or component manufactured after 1/1/2000; that is defective in material or workmanship for as long as the original purchaser owns it. This is the sole and exclusive remedy. This warranty is subject to limitations, exclusions and other provisions detailed below. Ten Years: Electrical components, seating controls, seating pneumatic cylinders, wood seating components. Five Years: Fabric and leather seating upholstery, seating foam, seating armrests, chrome seating components, veneer finishes, and any Kwik-File shelving, cabinets, or mobile systems and components that are either moving parts, or controls and guides that are in contact with moving parts. Three Years:4-Post wire shelving and wire components. • Normal wear and tear, which is to be expected over the course of ownership. • Damage caused by the carrier in-transit, which will be handled under Mayline Group’s Freight Damage policy. • Modifications or attachments to the product that are not approved by Mayline Group. • Products that were not installed, used or maintained in accordance with product instructions and warnings. • Products used for rental purposes. Normal commercial usage for seating is to be defined as the equivalent of a single shift within a 40-hour workweek. To the extent that a seating product is used in a manner exceeding this, the applicable warranty period will be reduced in a pro-ratamanner (excluding Model 2424AG which is warranted for multiple shifts). Mayline will warrant the materials and components of The Event Series products for a period of five years. The warranty does not apply to normal wear and tear, damage caused by the carrier in-transit, modifications or attachments to the product, or where the product is not installed. This product must be used or maintained in accordance to the instructions. See specific table labels for maximum weight load capacities. These limits are based on the weight being evenly distributed,allowing for ¼" deflection. 15 Years on all non-moving metal parts. 5 Years on component parts including Control mechanisms, pneumatic cylinders, wood, plastic parts, base and casters. 3 Year on upholstery fabric and foam against wear and deterioration. (a) Supply compatible components of current manufacture. (b) Repair the customer's component. The customer must prepay freight on any components returned to the factory. Return freight on components still in warranty will be paid by Office Star Products. *All warranties are limited to the original purchaser for normal Residential usage by persons weighing 200 lbs. or less. This warranty will not cover labor, freight or damage from misuse, abuse, negligence, alteration, accident, vandalism, rusting, acts of nature or any other event beyond the control of Office Star Products. The warranty does not cover cosmetic damage that may result from normal use. Liability for incidental or consequential damages is excluded. The user assumes all risk of injury resulting from use of this product. This warranty gives you specific legal rights, and you may also have other rights which vary from state to state. Our quality standards are among the highest in the industry. Sometimes, no matter how hard we try, there are times when parts are damaged or missing. Offices To Go warrants its products to be free from defects in material and workmanship subject to the limitations below. This warranty is made by Offices to Go only to original end user customers acquiring the product directly from authorized Offices To Go dealers. The customer's sole remedy under this warranty is limited to repair or replacement at Offices To Go's option. Consent from Offices To Go must be obtained before any warranty work is performed. This warranty shall not apply to any products which must be replaced due to normal wear and tear, negligence, abuse or "accident", shipping damage or product use other than in accordance with written instructions or warnings. It will also not apply when product has been modified or altered, repaired or refurbished by someone other than Offices To Go. This warranty does not cover the cost of transportation or labor. Offices To Go can make no warranty that any of its products are suitable for any particular purpose and can make no other warranties, expressed or implied. In no event shall Offices To Go be liable in either tort or contract for any loss or direct, special, incidental, consequential or exemplary damages. This warranty is not valid if the products are used for rental purposes. Under this warranty, claims must be made within the following periods from the original date of purchase: (a) non-moving parts are warranted for five years; (b) gas cylinders, mechanisms and other moving parts are warranted for two years; and (c) upholstery materials and foam are warranted for two years. Warranty is based on an eight hour, single shift work day for users weighing up to 250 pounds. NOTE: Select light duty stacking chairs; OTG11693, OTG11694, OTG11696, and OTG11697, are warranted for users weighing up to 200 pounds. Under this warranty, claims must be made within the following periods from the original date of purchase: (a) non-moving parts are warranted for five years; (b) drawers, slides, leveling glides, locks and other moving parts are warranted for two years. Warranty is based on an eight hour, single shift work day. 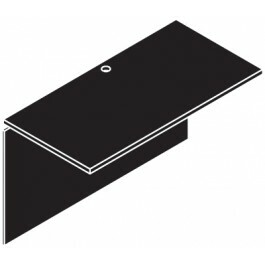 All RightAngle Products are warranted to be free of defects due to manufacturing or materials for a period of five years from shipment date. We will replace any defective part after inspection by an authorized agent. Costs incurred due to product replacement such as installation, labor charges or transportation are not covered under this warranty. 1 year on all non-moving parts. 1 year on component parts including control mechanisms, pneumatic cylinders, wood, plastic parts, base and casters. 1 year on upholstery matericals and foam. Upholstery materials and foam are warranted against usual wear and/or deterioratioin. Leather is not warranted against routine scratching and scuffin, as leather is subject to minor blemishes being a natural material. The warranty obligation is limited to the replacement or repair, at TECNO Seating's option, of defective parts and components. The warranty of this product is null and void if the product is subject to negligence, abuse, misuse, accident, or if the customer does not perform teh necessary maintenance outlined below. All warranties are limited to the original purchaser for normal commercial usage defined as a standard forty hour work week by persons weighing 250lbs or less. This warranty will not cover labor, freight or damage from misuse, abuse, negligence, alteration, accident, vandalism, rusting, acts of nature or any other event beyond the control of TECNO Seating. The warranty does not cover cosmetic damage that may result from normal use. Liability for incidental or consequential damages is excluded. The user assumes all risk of injury resulting from use of this product. When usage exceeds 40 hours per week, a one year warranty on all parts applies. This warranty gives you specific legal rights; and you may also have other rights which vary from state to state. All other warranties, expressed or implied prior, are disclaimed. All TECNO Seating chairs are built to meet or exceed ANSI BIFMA standards. It is the customer's responsibility to prepay freight on any components returned to the factory. Return freight on components covered by warranty will be paid by TECNO Seating. © Copyright 2015 Office Chairs & Desks, all rights reserved.